Every company hits a crisis once in a while. It is not a question of whether you will hit one. It's a question of when you will hit one, and more importantly, what will you do during your crisis. Every crisis presents opportunities to help you get stronger and better as a company. So don't waste a crisis. As you go through the valley, decide to come out stronger, better and faster on the other end of it. 1. 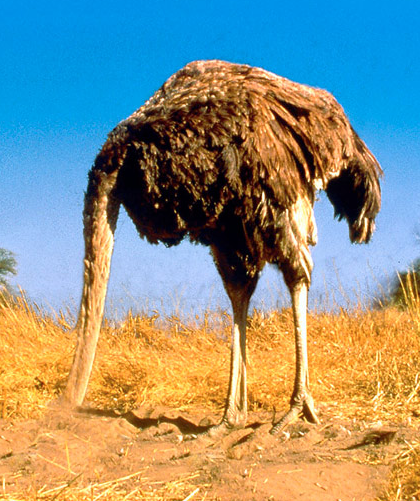 Don't assume the ostrich position: Don't bury your head in the sand and pretend everything is alright. The faster you recognize you are in a crisis the more time and options you have to resolve it. Use leading indicators to help you predict crisis before it happens and react to it faster. 2. Don't hide from your customers and employees: Crisis and fear of failure can be frightening, and all we want to do is assume the fetal position. Or, for some of us, we lock ourselves in our laboratories and believe we can figure it out ourselves. Instead, talk to your customers and employees. Share what you are going through and ask them for insights on how to emerge as a stronger company for both your employees as well as your customers. 3. Don't keep the same people doing same things: The definition of insanity is doing the same things while expecting a different result. It is time to change it up. Don't have the same people doing the same things. I am not suggesting that you should change out all your people. Find ways to redeploy some people, so that you have different people trying new things. 4. Don't get scared for life: Protect your heart and mind. It is easy to say "ok… we will never do that again!" Never say never. The world changes. Yesterday's bad idea and crisis may have been too early and before its time. Yesterday's bad idea could be tomorrow's cash cow when the time and industry is right for it. Learn from the crisis, understand what happened and why. Just be careful not to throw out the baby with the bath water. 1. See the future: Leaders need to lead. You need to see a brighter future. An inspiring future that is worth working towards. Pull power is always better than Push Power. In other words, if you can inspire your employees with a compelling not too distant future, the team will work passionately, being pulled by the exciting future, instead of coming to work every day afraid of more bad news and more failure. 2. Over communicate and involve others: Communicate your execution plans with your employees. Plan together. It is the process of planning that helps employees understand their part in the plan. It helps them get aligned and get things done with confidence. Having a plan and communicating once is not good enough. Plan together, and then communicate the plan repeatedly. 3. Track, observe, learn, and adjust: As you work hard to solve the crisis, spend time observing and adjust your execution based on what you are learning daily from this crisis. The faster you convert your learnings to actions, the faster you will avert the crisis and the stronger you will become. 4. Get engaged. Leaders and executives need to roll up their sleeves and get engaged. Get dirty. Don't just listen to other peoples' opinions. Get in there and get your own opinions. 5. Work on fire prevention while you are fire fighting: You want to emerge better and stronger. There is no wisdom in the second kick of the mule. Learn from the crisis. Keep a journal. Write down every week what went well and what did not go so well. Observe the key points in the crisis where things turned for the better. Ask "what changed? What made it better?" Write down the ideas that your team brainstormed, even the ones that did not get used. Save all ideas for the future. 6. Appoint a Strong Project Manager: Appoint a strong project manager to drive actions. The right actions, and holding the team accountable to do the right actions at the right time is what brings you out of the crisis. Some folks are afraid to change the project manager for fear of hurting peoples' feelings. Don't be. If you do not have strong project management and accountability, you might stay in the crisis longer, causing more pain and sacrifice for all involved. Instead, appoint a new project manager, with fresh eyes that will listen and hold people accountable to getting the work done. I am thankful that I have survived many crises, and came out the other end a better and stronger entrepreneur. What about you? Now its your turn to share. 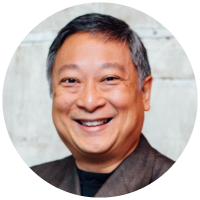 Share what you have learned from executing through a crisis.